If you’ve been around RV’s for awhile you have probably heard of the term “sway,” even if you don’t pull a trailer. It’s a common term in the RV industry and it means a side-to-side movement. 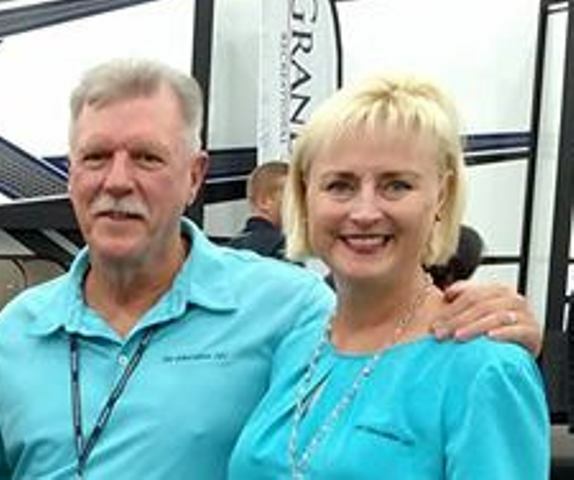 Sway is normally associated with a travel trailer being pulled by a tow vehicle, but it can take on a whole new meaning for motorhome owners too. We currently own a 35’ Class A motorhome on a Ford chassis. 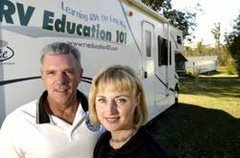 The first time I drove this motorhome on the Interstate I experienced sway in a motorhome, when a semi-truck passed us. Rather than calling it sway, when a truck passes you from the rear, I refer to it as the “push-pull effect.” As the truck is passing the first thing you feel is the air pressure from the truck pushing against the side of the motorhome. Then as the truck starts to go past the motorhome it pulls you back in. This sensation makes the motorhome feel top heavy. Other terms used for sway, as it pertains to motorhomes, are “body roll” and “pitch.” You will experience these different types of sway whenever pressure is exerted against one side of the motorhome. It can be caused by a gust of wind, or a shift in weight while cornering. The effects of sway on a motorhome are increased because of the height and mass of the motorhome. Regardless of what term you use for it, over time it takes its toll on the driver. The solution to sway is in the suspension. Chassis manufacturers are aware of this problem, and in an effort to reduce sway they use what is referred to as a sway bar. The sway bar is the link between the suspension system and the vehicles frame. 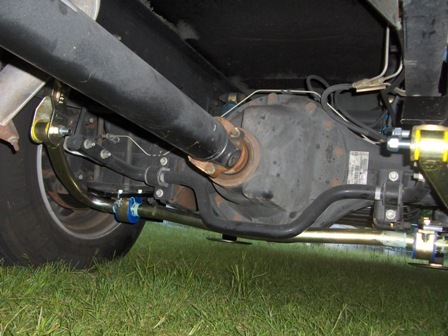 The sway bar uses the weight of the rear axle as a brace against the chassis, so any pressure exerted against either side of the motorhome is countered by the sway bar. The problem with this, in many cases, is the stock sway bar installed by the manufacturer is not strong enough to absorb or counter the effects of sway or pressure exerted against the sides of the motorhome. Now that we know what the problem is, what can we do to fix it? Once again I will mention that I am no way affiliated with this product, but the solution I found was called the RSS sway bar by Roadmaster Inc. RSS sway bars have thicker diameters than stock manufacturer sway bars. They’re made of 4140 “chromoly” steel which is stronger and more durable than the spring steel used in most stock sway bar applications. The RSS sway bar works by reducing the body roll and balancing the weight transfer during cornering. Another problem related to stock sway bars are the bushings they use. Sway bars pivot as pressure is constantly being countered by the bar. Most stock sway bars use rubber bushings at these pivot points. Rubber bushings harden and wear over time, causing the motorhome to roll or lean even more, from the same amount of pressure exerted against the side of the motorhome. RSS sway bars use polyurethane bushings. Polyurethane won’t wear like rubber, and it holds up much better at these pivot points. After installing the RSS the real test was to see how the motorhome handles on the road. I drove the motorhome slightly over 7,000 miles without the RSS sway bar, and after driving it 750 miles with the RSS sway bar all I can say is the difference is like night and day. I wish I had it on the motorhome the first 7,000 miles. The motorhome is more stable on the road, it handles and corners better and the body roll or sway was drastically reduced. If you experience sway when driving your motorhome, and are tired of white knuckle driving experiences the RSS sway bar could be the solution to your problems too.